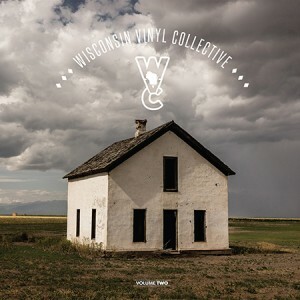 Wisconsin Vinyl Collective is available April 21st and is a Record Store Day exclusive. You can also purchase it online starting April 28 by going here. A video release for “Get Up” by Tundra Blood was released on April 13th. All proceeds from the sale of the album and the release events go to the Wisconsin Keep Warm/Cool Fund. Kyle Megna & Rose Catterton, and Peridot. It’s always inspiring to see how many Madison-area bands and individuals use their skills and talents to help the less fortunate or mentor the next generation. In this case Erik Kjelland (of Mascot Theory, Tundra Blood and Kerosene Kites fame), Butch Vig and numerous others who have been working to benefit the Wisconsin Keep Warm/Cool Fund. Occasionally efforts such as these unite other parts of the state in a common cause and this is the case here. Several artists have contributed either unreleased tracks or recorded tracks specifically for both volumes in the WVC series (Volume One was released in 2017 and you can read the review here). These are prominent musicians working in their home bases and, in some cases, have gone on to regional and national recognition. Madison-area music fans may be especially interested in the inclusion of “Jordan James” by PHOX, a song intended to appear on the follow-up to their Partisan Records debut from 2015. The album never materialized as the group went on indefinite hiatus, a fact that appears to become more definite as time goes by. Though it sounds a little rough production-wise, it’s vintage PHOX with Monica Martin’s emotionally-charged vocals riding over a tasteful instrumental bed with loads of sonic colors – horns, soulful organ, Rhoades piano tones, etc. It’s a slow-burner, like a lot of their songs, that crescendos while Martin’s voice flutters like an apocalyptic bird. The other obvious bit of excitement for Madison fans is the debut of Tundra Blood, A super-trio featuring Corey Hart, Erik Kjelland and Gabe Burdulis. The Mascot Theory rhythm section of bassist Nick Frey and drummer Paul Metz provide assistance on the recording. It was tracked at Clutch Sound by Brian Liston who adds Moog synthesizer. “Get Up” is a Hart/Kjelland composition and doesn’t stray too far from the Lost Lakes/Mascot Theory brand of Americana but with three of the state’s finest singers, the vocals definitely take the spotlight. Seems likely we’ll see an album from Tundra Blood later this year. Those who remember the Profit$ from the early 2000’s will recognize John Paul Roney’s name in his latest project Boom Forest. “So Long” is a great song with a catchy chorus and big, modern production values. Roney’s vocal is strong, stretching into falsetto on the choruses. Nowadays based in Nashville, Roney marries his early church upbringing with the pop sensibilities of the Profit$ and a Dylan-esque spirituality, crying out a warning in order to save mankind from technological enslavement. Milwaukee’s Zach Pietrini Band chips in a beautifully arranged ballad with “November Sorrow.”. This is followed by another gem of an acoustic guitar/cello/vocal selection from Appleton’s Peridot, featuring the vocals of Hillary Reynolds. Heavy-hitters the Violent Femmes recorded a live version of “I’m Not Done,” from their most recent album, 2016’s We Can Do Anything. The country-punk bounce betrays lyrics that could be interpreted as addressing the ongoing feud between Gordon Gano and former drummer Victor DeLorenzo, a bitter fallout. It lacks the fire of the band’s earlier output but just appearing on this album should boost sales and the cause. Elsewhere, Indie-rocker Brett Newski contributes “Post-Normal,” with his trademark lyrical cleverness and inventive chord progressions. J-Council gets in on the act with the soulful R&B/rocker “Everything’s Alright.” The group just took home the WAMI for New Artist and demonstrates their ability to groove, a high-tension guitar solo taking the tune to another level. Horseshoes & Hand Grenades have been building steadily for some time. Their contribution, “The Old House Down,” blends old-time, country & bluegrass into a true definition of what some call Wiscana. Bowed bass in the intro adds weight before the band crashes in with a song of nostalgia, fiddle and harmonized vocals highlighted with a sassy harmonica solo. The album closes in strong fashion with Sara Vos, who is one-half of Milwaukee’s Dead Horses. The haunting “Holes” is a solo performance with some very tasteful guitar picking and breathy vocal delivery. It’s at least partially recorded outdoors as traffic is audible at the start and finish. Like all the songs on the album, there should be interest in exploring further recordings by all. Though it’s been conceived as a vinyl throwback, you can still obtain digital copies in case your turntable is still mothballed or even non-existent. The project is a noble one; Kjelland deserves a lot of credit for the effort he puts into WVC as well as Flannel Fest and his numerous musical projects. It’s more important than ever to support causes such as the Keep Warm/Cool Fund, too and this is one way to put empathy into action. Additionally you’ll discover new musical treasures; Wisconsin artists you may not be familiar with, operating in circles that don’t overlap often enough.